If you don’t know what to focus on OF COURSE you will peeter your time away clicking through Upworthy.com articles. Until you know what you absolutely must be working on it will always be easier to do something mindless. I realized this for myself when I finally created a distraction free zone for myself. I initiated the Self-Control app, turned off the data on my cell, put in headphones. I had my typical list of busy work tasks ready to go. I cranked out those tasks immediately. Normally it would have taken me longer because I would be multi-tasking and checking out random things on the Internet. So when I got those tasks done in record time I was left wondering: “Well, what now?” Instead of working on something important, I am immediately tempted to look at something mindless or check out one of my (many) social networking accounts. You must figure out what your priorities are- what your art is. Maybe you haven’t figured out what makes your heart sing, what is tugging at you to be created. That is the first step and what will help you tune out those distractions. You must decide what work you absolutely must do. 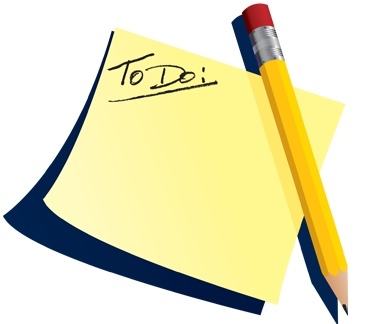 I end the day with to-do lists and check it again in the morning to ensure that I am working on the right things. I set quarterly and yearly goals and evaluate every few weeks. To do: Do a gut check to understand if you’ve been distracted and unproductive because of a lack of clarity on priorities. Can you start by creating a simple list of your priorities for the day and then eventually for the next quarter and the year? Fear of doing the work. The other reason it’s so hard to put yourself on a routine and rid yourself of distractions: you have no more excuses to face what needs to be done. That’s right, you have to confront the fact that you must write that blog post, write that book, choreograph that dance. Yes, you have to work on your art now. You have no more excuses as to why you can’t get it done anymore. But but! That Youtube video is just so interesting! I must watch it over and over. Do I really have to draft that article? That Buzzfeed article has been posted on Facebook by three of my friends so it must be important! I am so guilty of demonstrating that behavior. I have so many distractions and lack of routine because I’d rather not face the work that needs to be done. It’s much easier to let my fear run the show and keep me from accomplishing my priorities. The fear shows up whenever I go to check Facebook rather than drafting my Services page. It shows up when I click from one Youtube video to another rather than practicing dance or music. To do: What can you do to make the fear a little less relevant? Maybe it’s displaying your mission front and center of your desk so you are consistently reminded of what you are working towards. When you know your mission, it’s easier to tell that fear to be silent. Can you form an accountability group that will support you and listen to you but also give you a loving nudge to move forward? The first step in building better habits and being more productive is understanding the reasons why it’s so hard in the first place…then it’s taking those reasons and slapping them upside the head so you get stuff done! Great post, Louise! The toughest part about what you describe is that it’s a constant battle. I’m always re-evaluating how efficiently I’m using my time, how I can use it better, and why a given day wasn’t productive. Social media is a huge distraction so I really like the idea of ‘shutting it off’, creating a distraction free zone. For me, another thing that crops up is feeling daunted by a large scope project. Looking at the past month’s work and realizing it’s just a drop in the bucket compared to what’s left to do. Long term projects are marathons, not sprints, and I try to keep my focus on small markers along the way, not the finish line.